With Spring all around you could be excused for thinking that Love is in the air. While that may well be so in your neck of the woods, it will be sharing that air space with something far more sinister – positively charged ions. These positively charged ions have a dramatic effect on your body and your mind, causing a whole range of health problems. An excess of positive ions in the environment affects the health of humans. Positive ions are thought to cause free-radical damage in the body and adversely affect the immune system in many ways. What Are The Negative Effects Of Positive Ions? As well as immune system dysfunction they positive ions cause many other symptoms including body pains, headaches, dizziness, nausea, fatigue, respiratory difficulties, allergies, asthma, migraine, emotional unbalance, irritability, exhaustion, apathy, anxiety and depression. They can also affect your endocrine (hormonal) system, thus your thyroid hormone production and also increase adrenalin production. And then all these disruptions can impact on you in many other ways such as poor sleep or learning difficulties. Increased positive ions in the environment are produced by many of the things that are an ingrained part of our modern lives, such as TV sets (digital sets throw out toxic beams directly in front of the screen for up to 400 metres, including through walls), computer monitors, microwaves, fuse boxes and in fact by any of the electrical appliances and power points in your house and workplace. WiFi technology, such as mobile (cell) phones, wireless internet, modems and routers, and baby monitors, has greatly increased the presence of positive ions in our lives. The electro magnetic field around each of these hotspots varies from one to the next but can extend for a number of metres. The term Geopathic Stress is used to indicate the presence of unhealthy earth energies in living spaces and refers to the imbalance of Positive Ion fields. And stress within your body, including your brain, is exactly what high positive ion levels cause. Negative ions on the other hand, help to balance out the effects of the vast quantities of positive ions that are released into the air of our modern homes. It’s thought they produce biochemical reactions in our bloodstream that lead to increased production and release of the happy mood chemical serotonin, which in turn helps to alleviate depression, reduce stress and boost daytime energy. Other ways negative ions can help you are with detoxification, increased alertness, improved concentration, better breathing, sounder sleep, tension relief and vitamin utilization and they help to strengthens your body’s immune system. Negative ion balance maintains healthy oxygen levels, promotes healthy cell growth, healthy states of mind and overall wellbeing. Basically, they’re all-round ‘good guys’ and vital to have anywhere you spend lots of time! Here’s an interesting comparison from Kiflow between the benefits from negative ions and the damage from positive ions in the environment. There are lots of places where you find an abundance of negative ions including beaches, waterfalls, forests, fountains and mountains. Think of the wonderful lift you experience just by being in these places. Pounding surf and thunderstorms are great negative ion generators. 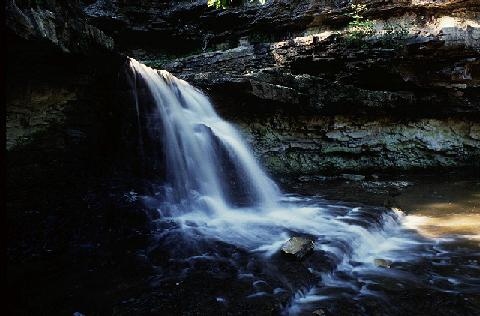 Of course some of the positive response you feel is due to the natural beauty of these amazing places but much of the uplifting response is from the abundance of negative ions in the air. Negative ions in these places are measured in tens of thousands but in most homes and offices they often only measure in ‘hundreds’ or even ‘tens’, which may be why you never get that same uplifting feeling at home, work or school. Negative ions are not the same as ozone and both have a different effect on you. 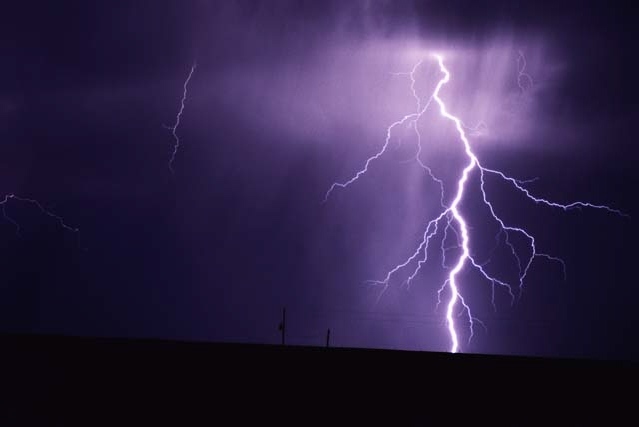 The difference between air rich in positive ions and air rich in negative ions can easily be felt during a thunderstorm. Have you noticed the build up of tension in the air just before it starts? This is the time when the positive ions are peaking. Once the storm hits the air produces electrical charges in the atmosphere and fain starts to fall. 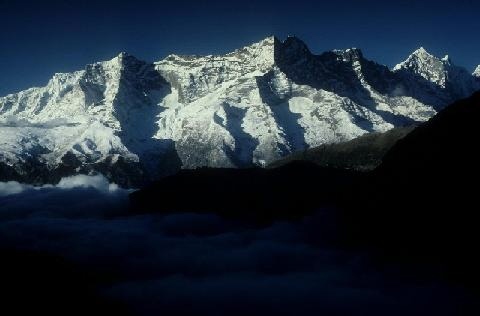 The air becomes rich with oxygen and explodes with negative-rich ions. After the storm has passed there’s a feeling of calm and serenity because the rush of negative ions has balanced out the positive ions. 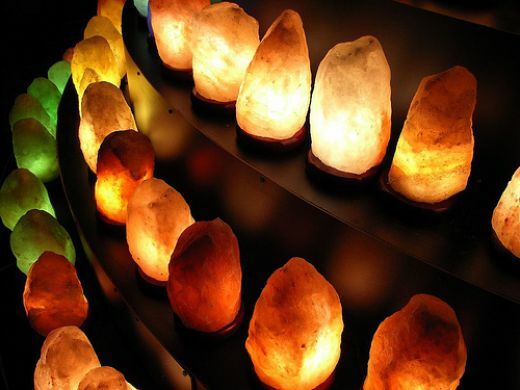 There are many ways to reduce the buildup of positive ions ranging from the cheapest, which is to simply throw open the doors and windows on opposite sides of the room to allow cross-ventilation, to the expensive installation of an Ionizer, but one easy and beautiful way to bring about this ion reversal is to place Himalayan Salt lamps around your living spaces. I have lots of Himalayan Salt Lamps for sale at work and am often asked what their purpose is. These lamps, and the salt itself, have a wealth of health benefits. Himalayan salt is high-quality salt hand-mined from salt caves that were formed 250 million years ago in the foothills of the Himalayas. The lovely pink colour indicates that it’s mineral rich, and in fact contains 84 minerals and trace elements including calcium, potassium and magnesium. In a country like Australia where our mineral deprived soils lead to food produce that is also low in the minerals your body needs, using this salt is a good way to boost your essential mineral intake. Unlike table salt, it’s unprocessed. Processed salt is devoid of minerals and only one of the 84 minerals, iodine, is ever replaced. Even rock salt, which is better than table salt, is no match for Himalayan salt as the elements contained in rock salt are not as easily metabolized as they are in the Himalayan salt which has a unique crystalline structure that enables your body to absorb and metabolize them. I use Himalayan salt in my cooking instead of processed salt and have noticed that I actually need to use less to get the same effect, perhaps as a result of the presence of the full-spectrum of minerals it contains. Himalayan salt has a perfect crystalline structure and is the highest grade of natural salt. It contains no environmental pollutants and is importantly, immune to electromagnetic fields. It’s great added to baths to rejuvenate skin, and to foot baths to detox. Across Europe it’s very common for people to go and spend time inside salt caves to aid their health. Here are the locations of a few. 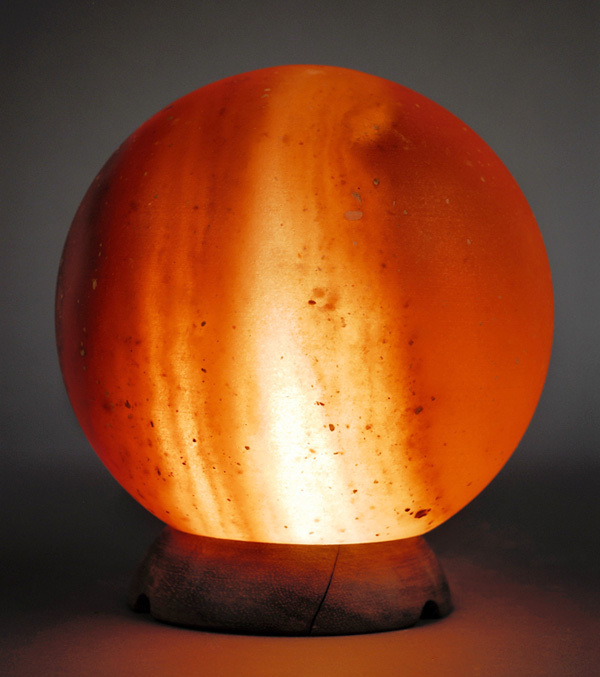 Another wonderful way to gain the health benefits of Himalayan salt is to use it in the form of lamps. Here’s a short explanation of how they work but here and here are more detailed ones. As the lamp warms up it begins to attract and absorb moisture and the surface becomes moist. The ion field builds up. The heat from the lamp then leads to evaporation and it’s this that creates the negatively charged ions and releases them into the air, where they bind with and neutralize the excess positively charged ions in the air. This helps reduce the ‘electro-smog’ in your air as well as reducing allergens and irritants. The lamps only release negative ions when they are warmed from the heat of the globe. If the air is very humid the lamp may ‘weep’ and so should be left lit as this helps to dry them out. During one particularly humid December I woke to find a huge puddle on the floor under one of my lamps sitting right in front of a fan that had been on all night to draw the cooler air into the house. But that cooler air was also laden with moisture! In addition they are very beautiful, emitting a soft pinkish glow that helps to create a wonderful warm ambience in your home or work. Their colour ranges from light apricot to dark orange and from the softest baby pink to a deep dark rose pink. There has been much research on the healing effects of colour on our body and mind. Pink is said to soften the vibrant energy of red and support a sense of partnership and love and open your emotional body. It embodies feminine nurturing. Here are colour therapy descriptions of the characteristics of various pinks “The New Rainbow Colours” if you’d like to know more. Placing just one lamp in your home won’t ‘fix it all’ as they have a limited range and so won’t be able to neutralize a whole house. I have five in my home and one on my desk at work. Place a few through selected areas of your home where you spend lots of time, such as the living area or bedroom as well as near the TV, computer and other high EMF areas to gain the benefits where you need it the most. 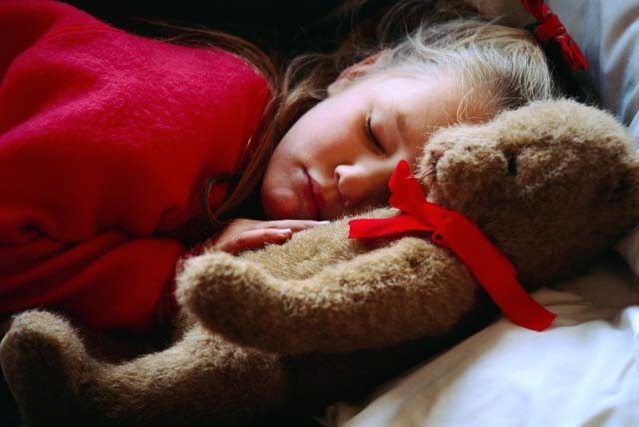 They make a beautiful soothing night light for a child’s bedroom, creating a nurturing feeling for the child while at the same time rebalancing the ions in the air, and often improving disturbed sleep.